WESTLAKE VILLAGE, Calif.–(BUSINESS WIRE)–Earlier in September Dole Food Company participated in a celebration of the twentieth anniversary of the company’s initial receipt of its ISO 14001 Certification. On July 2, 1998, Standard Fruit Company of Costa Rica S.A., a subsidiary of Dole Food Company, Inc., became the first agricultural and banana company in the world to receive the globally recognized ISO 14001 Certification for its environmental management policy and the establishment of its Integrated Management System. With the certification, the company further strengthened its robust Environmental Management System, with results that place it at the forefront in the sustainable production of bananas and pineapples. 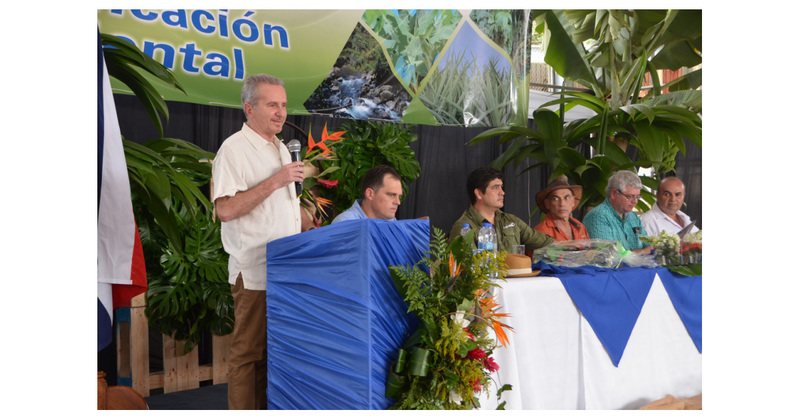 The celebration event, held Saturday, September 1, at the Agricultural Technical College of Valle de La Estrella, was highlighted by the participation of Costa Rican President Carlos Alvarado, accompanied by the Minister of Agriculture and other government officials, as well as students, community leaders, representatives of non-governmental organizations, Standard Fruit Company employees and neighboring farmers. Dole Fresh Fruit President Renato Acuña represented Dole at the event. The environmental commitment assumed by Dole, with the ISO 14001 Certification, demonstrated to Costa Rica and the world that fresh fruit can be produced with quality and profitability in an increasingly sustainable manner: protecting the environment with the participation of the workers and involvement of the communities. This milestone has been a motivator for other agricultural companies to strive towards continuous improvement and sustainability commitments. Dole Food Company, Inc., is one of the world’s largest producers and marketers of high-quality fresh fruit and fresh vegetables. Dole is an industry leader in many of the products it sells, as well as in nutrition education. For more information, please visit www.dole.com.